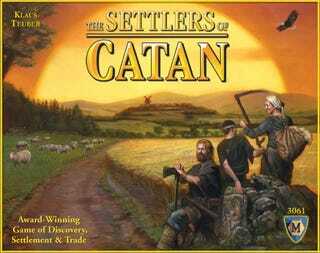 Settlers of Catan was just gobbled up by a production company that wants to turn it into *shrugs* who knows? But we can only hope that this, too, will be turned into another needless police procedural featuring streetwise detectives Wool and Lumber. Today, producer Gail Katz (Air Force One, The Perfect Storm) announced via press release that she has obtained film and television rights to Settlers of Catan. Please restrain your emotions. Clearly Katz has no idea what to do with the property just yet (but she wants you to know that it could become something). Here's the quote released about translating the game to something, really anything else. "I've been wanting to see an adaptation of the game for years, ever since my CATAN-obsessed college-aged kids introduced me to it... The island of Catan is a vivid, visual, exciting and timeless world with classic themes and moral challenges that resonate today. There is a tremendous opportunity to take what people love about the game and its mythology as a starting point for the narrative."